The following process provides steps to configure SAML 2.0 with OneLogin for Mattermost. Make sure you have the XML Security Library installed on your Mattermost instance. The XML Security Library is usually included as part of Debian GNU/Linux. 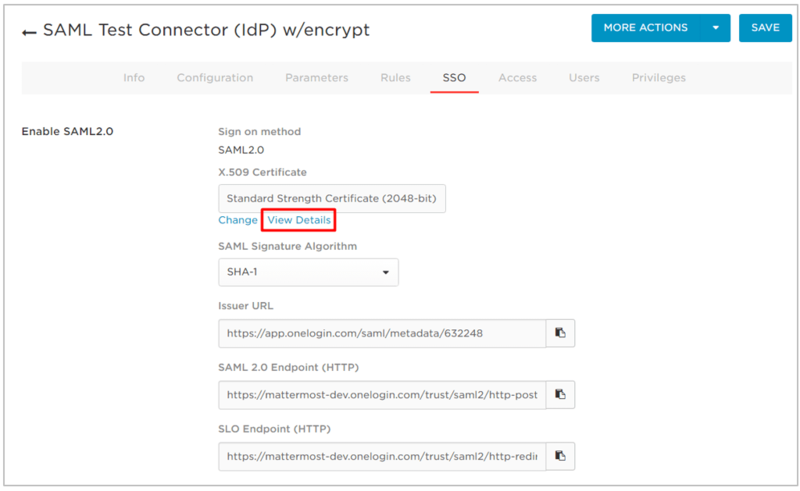 Generate encryption certificates for encrypting the SAML connection. You can use the Bash script from the mattermost/docs repository on GitHub, or any other suitable method. Save the two files that are generated. They are the private key and the public key. In the System Console, they are referred to as the Service Provider Private Key and the Service Provider Public Certificate respectively. Add a SAML test connector app. Sign into OneLogin as an administrator. 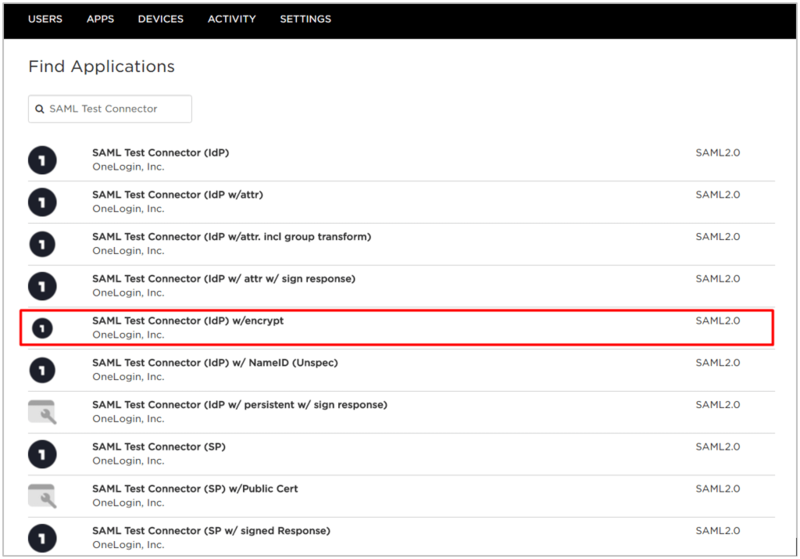 Search for “SAML Test Connector” and choose SAML Test Connector (IdP) w/encrypt. In the Display Name field, enter a name for the application, and optionally upload an app icon. You can use the Mattermost logo for the icon, which you can download from Branding Guidelines page. Make sure that the Visible in portal option is enabled. Recipient: https://<your-mattermost-url>/login/sso/saml where https://<your-mattermost-url> should typically match the Mattermost Site URL. Paste the Public Key that you generated earlier into the SAML Encryption field. Attribute parameters map attributes between OneLogin and Mattermost. For more information on which attributes are configurable, see our documentation on SAML configuration settings. Email and Username attributes are required. For Mattermost servers running version 3.3 and earlier, FirstName and LastName attributes are also required. In the Field name field, enter an attribute parameter such as Email. Select the Include in SAML assertion checkbox. In the Value field, select the OneLogin value that corresponds to the attribute parameter. Repeat steps b through g to add the Username attribute and any other attributes that you need. Copy the values in the Issuer URL and SAML 2.0 Endpoint (HTTP) fields and save them for use later. Click View Details to view the X.509 certificate. Make sure that the X.509 PEM option is selected in the drop-down. Click DOWNLOAD and save the file in a convenient location for use later. Sign into Mattermost as a System Administrator. Go to System Console > Authentication > SAML. In the SAML SSO URL field, paste the value for the OneLogin SAML 2.0 Endpoint (HTTP) that you copied earlier. In the Identity Provider Issuer URL field, paste the value for the OneLogin Issuer URL that you copied earlier. 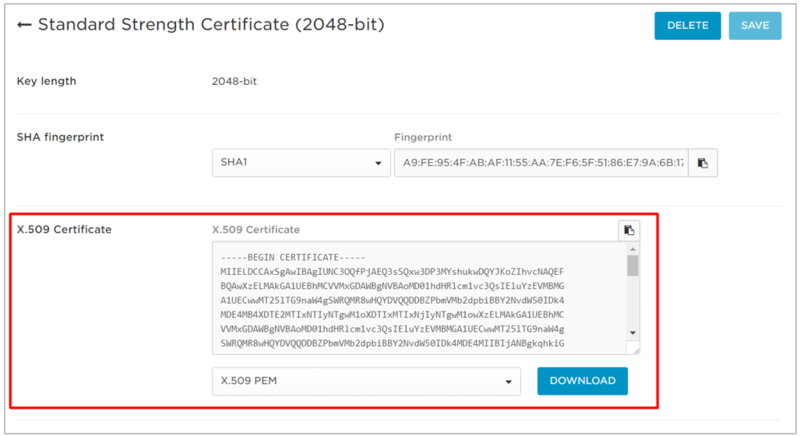 In the Identity Provider Public Certificate field, upload the OneLogin X.509 PEM certificate file that you downloaded earlier. Configure Mattermost to verify the signature. In the Verify Signature field, click True. In the Enable Encryption field, click True. In the Service Provider Private Key field, upload the private key that you generated earlier. In the Service Provider Public Certificate field, upload the public key that you generated earlier. 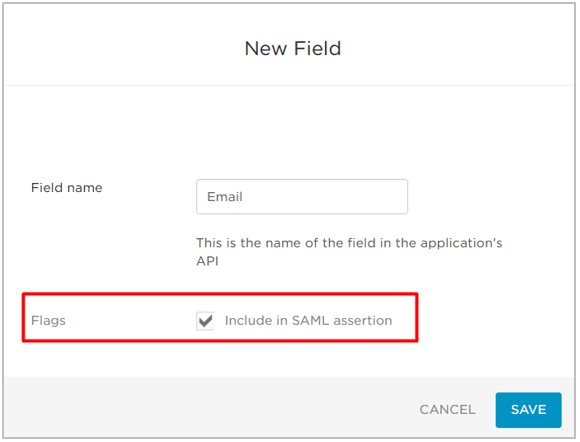 Set attributes for the SAML Assertions, which are used for updating user information in Mattermost. 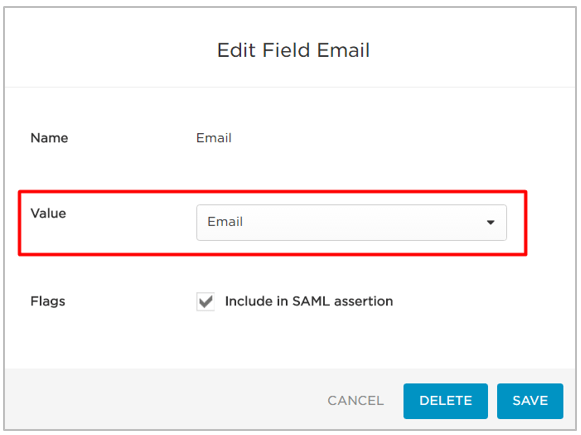 The Email Atttribute field and the Username Attribute field are required, and should match the values that you entered earlier when you configured the SAML Test Connector on OneLogin. For Mattermost servers running version 3.3 and earlier, FirstName and LastName attributes are also required. (Optional) Customize the login button text. (Optional) If you configured First Name Attribute and Last Name Attribute, go to System Console > General > Users and Teams and set Teammate Name Display to Show first and last name. This is recommended for a better user experience. To confirm that SAML SSO is successfully enabled, switch your System Administrator account from email to SAML-based authentication via Account Settings > General > Sign-in Method > Switch to SAML SSO and sign in with your SAML credentials to complete the switch. It is also recommended to post an announcement about how the migration will work to users. You can also configure SAML for OneLogin by editing config.json to enable SAML based on SAML configuration settings. You must restart the Mattermost server for the changes to take effect. Alternatively, you can use an Id Attribute instead of email to bind the user. We recommend choosing an ID that is unique and will not change over time. Configuring with an Id Attribute allows you to reuse an email address for a new user without the old user’s information being exposed. For instance, if a user with an email address joe.smith@mattermost.com was once an employee, a new employee named Joe Smith can use the same email. This configuration is also useful when a user’s name changes and their email needs to be updated. A user authenticated with SAML is bound to the SAML service user using the Id Attribute (as long as it has been configured) or bound by email using the email received from SAML. When the user tries to login and the SAML server responds with a valid authentication, then the server uses the “Id” field of the SAML authentication to search the user. If a user bound to that ID already exists, it logs in as that user. If a user bound to that ID does not exist, it will search base on the email. If a user bound to the email exists, it logs in with email and updates the autentication data to the ID, instead of the email. If a user bound to the ID or email does not exist, it will create a new Mattermost account bound to the SAML account by ID and will allow the user to log in. Note: Existing accounts will not update until they log in to the server. Accounts disabled in AD/LDAP are made inactive in Mattermost, and their active sessions are revoked once Mattermost synchronizes attributes. Go to System Console > SAML and set Enable Synchronizing SAML Accounts With AD/LDAP to true . Go to System Console > AD/LDAP and set Enable Synchronization with AD/LDAP to true . 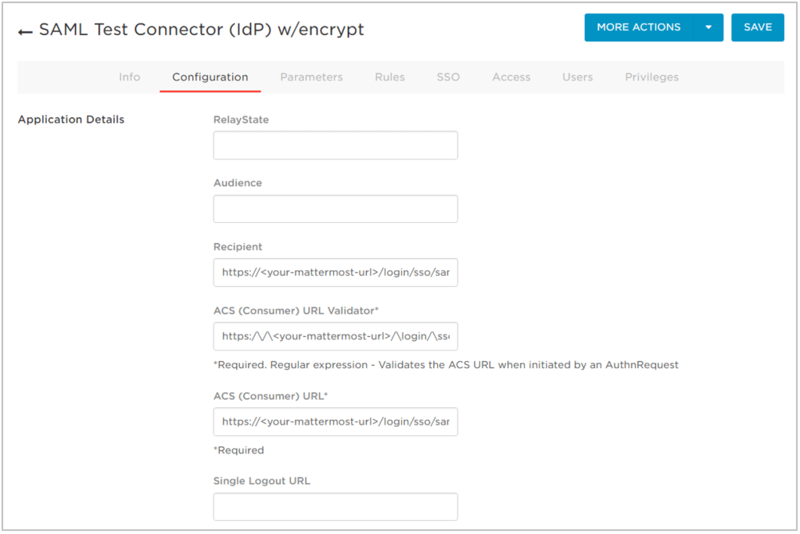 Set the rest of the AD/LDAP settings based on configuration settings documentation to connect Mattermost with your AD/LDAP server. If you don’t want to enable AD/LDAP sign-in, keep Enable sign-in with AD/LDAP as false. Set Syncronization Interval to specify how often Mattermost synchronizes SAML user accounts with AD/LDAP. The default setting is 60 minutes. If you want to synchronize immediately after disabling an account, use the “AD/LDAP Synchronize Now” button in System Console > AD/LDAP. To test Mattermost can successfully connect to your AD/LDAP server, click the AD/LDAP Test button. Add the user to your AD/LDAP server. Purge all caches in Mattermost in System Console > Configuration > Purge All Caches. Run AD/LDAP sync in System Console > AD/LDAP > AD/LDAP Synchronize Now. Purge all caches again in Mattermost in System Console > Configuration > Purge All Caches, which re-activates the account in Mattermost. If a user is deactivated from AD/LDAP, they will be deactivated in Mattermost on the next sync. They will be shown as “Inactive” in the System Console users list, all of their sessions will expire and they won’t be able to log back in to Mattermost. If a user is deactivated from SAML, their session won’t expire until they’re deactivated from AD/LDAP. However, they won’t be able to log back in to Mattermost. SAML synchronization with AD/LDAP is designed to pull user attributes such as first name and last name from your AD/LDAP, not to control authentication. In particular, the user filter cannot be used to control who can log in to Mattermost, this should be controlled by your SAML service provider’s group permissions. Get all the current LDAP users from the Mattermost database who have Users.AuthService set to ldap. This is a SQL query issued against the Mattermost database: SELECT * FROM Users WHERE AuthService = 'ldap'. Get all the current SAML users from the Mattermost database who have Users.AuthService set to saml. This is a SQL query issued against the Mattermost database: SELECT * FROM Users WHERE AuthService = 'saml'. Get all the current LDAP users from the LDAP server as defined by LdapSettings.UserFilter. This is an LDAP query issued against the LDAP server. Users are retrieved in batches as defined by LdapSettings.MaxPageSize. Update LDAP attributes. For each existing Mattermost user retrieved in step 1, attempt to find a match against the list of LDAP users from step 3. To find matches, Users.AuthData field of the Mattermost user is compared against the LdapSettings.IdAttribute LDAP setting. If any attribute of the user has changed, that attribute is copied from the LDAP server and the user is marked as updated. If the corresponding LdapSettings.IdAttribute is not found, the user is assumed to be deleted from the LDAP server, and deactivated from Mattermost by setting the Users.DeleteAt field to a valid timestamp. Update SAML attributes. For each existing Mattermost user retrieved in step 2, attempt to find a match against the list of LDAP users from step 3. To find matches, SamlSettings.Email is compared against the LdapSettings.EmailAttribute LDAP setting. If the corresponding LdapSettings.EmailAttribute is not found, the user is assumed to be deleted from the LDAP server, and deactivated from Mattermost by setting the Users.DeleteAt field to a valid timestamp. Alternatively, you can choose to override SAML bind data with AD/LDAP information. For more infomation on binding a user with the SAML ID Attribute, please refer to this documentation. This process overrides SAML email address with AD/LDAP email address data or SAML Id Attribute with AD/LDAP Id Attribute if configured. We recommend using this configuration with the SAML ID Attribute to help ensure new users are not created when the email address changes for a user. To ensure existing user accounts do not get disabled in this process, ensure the SAML IDs match the LDAP IDs by exporting data from both systems and comparing the ID data. Mapping ID Attributes for both AD/LDAP and SAML within Mattermost to fields that hold the same data will ensure the IDs match as well. Set the SAML Id Attribute on System Console > SAML > Id Attribute. Set System Console > SAML > Override SAML bind data with AD/LDAP information to true. Set System Console > SAML > Enable Synchronizing SAML Accounts With AD/LDAP to true. The following are troubleshooting suggestions on common error messages and issues. If the System Administrator is locked out of the system during SAML configuration process, they can set an existing account to System Administrator using a command line tool. Received error message: An account with that username already exists. Please contact your Administrator. This usually means an existing account has another authentication method enabled. If so, the user should sign in using that method (such as email and password), then change their sign-in method to SAML via Account Settings > Security > Sign-in method. This error message can also be received if the Username Attribute of their SAML credentials doesn’t match the username of their Mattermost account. If so, the user can update the attribute at their identity provider (for instance, back to the old value if it had been previously updated). Received error message: An account with that email already exists. Please contact your Administrator. This error message can also be received if the Email Attribute of their SAML credentials doesn’t match the email address of their Mattermost account. If so, the user can update the attribute at their identity provider (for instance, back to the old value if it had been previously updated). Received error message: SAML login was unsuccessful because one of the attributes is incorrect. Please contact your System Administrator. Confirm all attributes, including Email Attribute and Username Attribute , are correct in both the Identity Provider configuration and in System Console > SAML. First, ensure you have installed the XML Security Library on your Mattermost instance and that it is available in your PATH. Second, ensure you have completed each step of the SAML configuration. If you are still having trouble with configuration, feel free to post in our Troubleshooting forum and we’ll be happy to help with issues during setup.